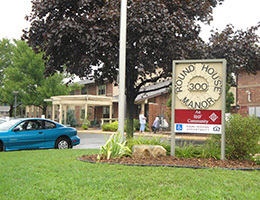 Round House Manor is an affordable housing community for residents 62 and over with several apartments designed to accommodate those who are 18 and over with a mobility impairment. 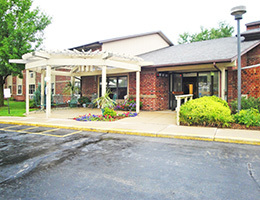 Located in the heart of downtown Kaukauna, Wisconsin on the beautiful Fox River, our community is within a few blocks of a variety of shops, restaurants, outdoor events, and the city library. 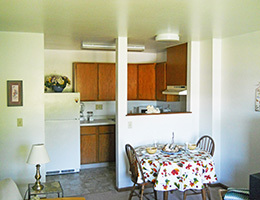 We are conveniently located next to City Hall and across the street from our city fire department. There is a bus stop close by and once a week free transportation is provided by a local bus company for grocery shopping. 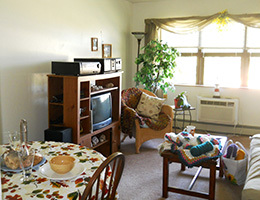 Meals on Wheels and many other services are available through Outagamie County Human Services programs, volunteer organizations, and home care agencies. Our residents are active participants in RHF’s Project H.A.N.D.S. 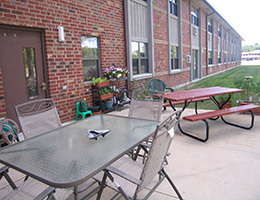 A Service Coordinator is available to connect residents to a variety of resources that will allow them to remain independent and to meet their physical and emotional needs.